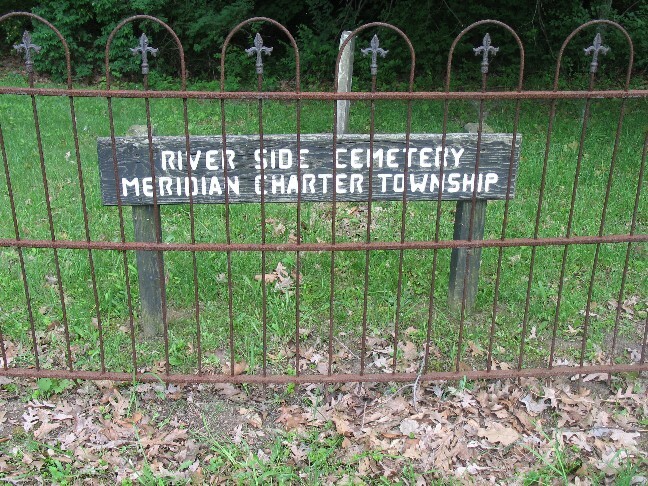 Riverside Cemetery has also been known as Okemos Cemetery, Old Okemos Cemetery and River Bend Cemetery. Riverside Cemetery is located at the intersection of E. Grand River and Hamilton Road in Okemos, Michigan. There is no real entrace or place to park.